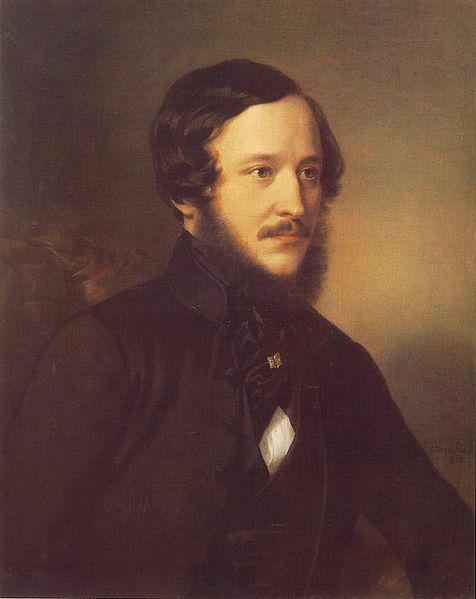 Baron Jozsef Eötvös (1813-1871), was born in Buda, and while still a youth was subject to many conflicting influences, his family being orthodox and royalist, his tutor a democrat of the French School, and his favourite teacher an ardent nationalist. In later life, when a leader of the patriotic part mindful of these early impressions, Eötvös strove constantly to reconcile extremes ! Having finished his legal studies, he travelled for a time, and on his return published his first great novel, dealing with social and international problems. Several others of the same type followed, and some rather feeble poetry of which only a few lyrics deserve remembrance. Eötvös devoted his life to two great aims — the abolition of selfdom and the institution of a central Government based on popular representation. Hardly was his dream realised, and he himself appointed Minister of Education in the new ministry, when the Revolution of 1848 drove him into exile. He lived, however, to witness the reconciliation (in 1867) between the people and their Sovereign, which he had striven so earnestly to bring about, and resumed his ministerial office before his death.